Краткое описание: Heavy Barrel is a shooter with a top-down view similar to Commando and Ikari Warriors. Terrorists have seized the underground control complex of a nuclear missile site. It is up to the player to infiltrate the installation and eliminate the leader of the terrorist army before they can launch the missiles. To stop the terrorists you will need the powerful weapon Heavy Barrel. The problem is that the weapon still is in the installation. Before the fortress fell the weapon was taken apart and locked in six different storage lockers. To defeat the terrorists you must collect all keys and reassemble the weapon. The game supports co-op for two players. 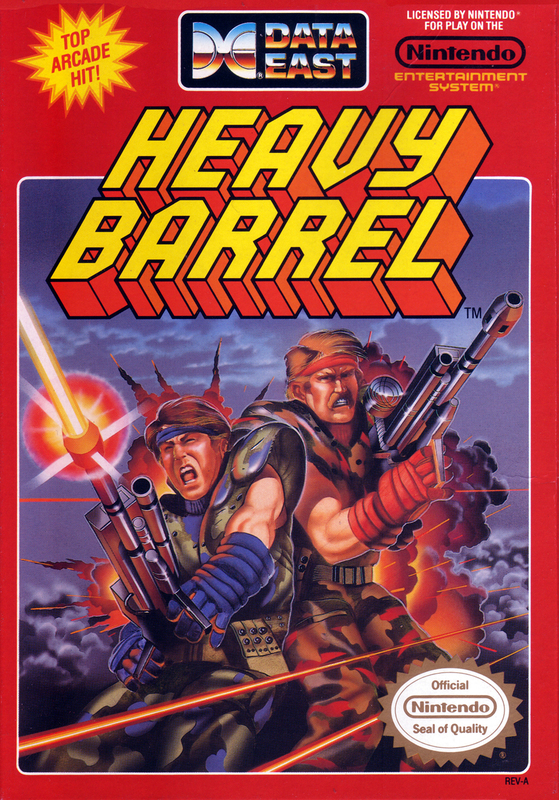 Heavy Barrel is a shooter with a top-down view similar to Commando and Ikari Warriors. Terrorists have seized the underground control complex of a nuclear missile site. 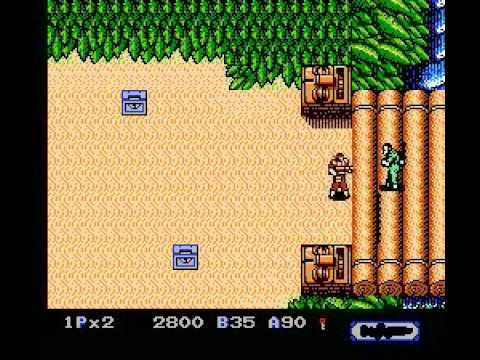 It is up to the player to infiltrate the installation and eliminate the leader of the terrorist army before they can launch the missiles. 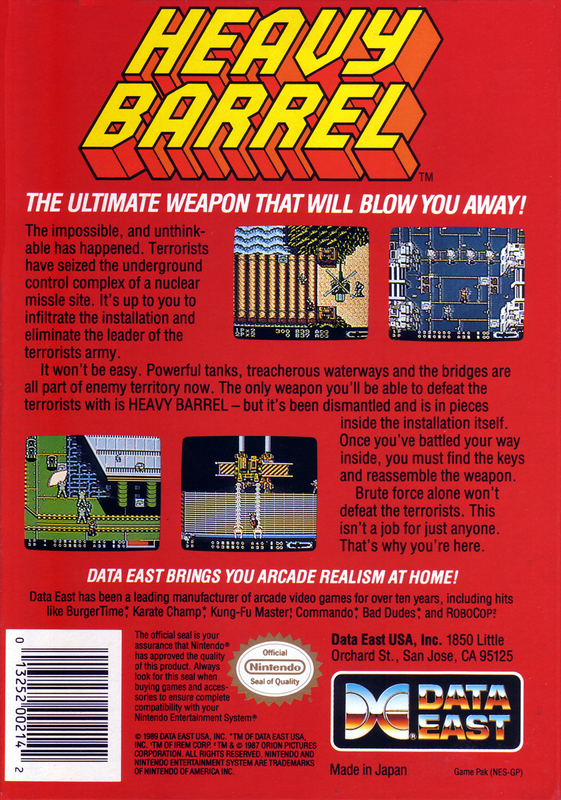 To stop the terrorists you will need the powerful weapon Heavy Barrel. The problem is that the weapon still is in the installation. Before the fortress fell the weapon was taken apart and locked in six different storage lockers. To defeat the terrorists you must collect all keys and reassemble the weapon. The game supports co-op for two players.